The old alchemical maxim of "Dissolve et Coagula" which means dissolve and coagulate, is what this pH Swing Process does. Even though this method of using acids and bases to dissolve and precipitate the gold may seem modern, it was actually used in old alchemy also. After the gold was dissolved in Aqua Regia, they would precipitate it using "oil of calcined tartar" which is potassium carbonate that has been exposed to humid air and allowed to absorb water, and they did indeed refer to this precipitant as the calx of gold. Many new age internet shops are selling this calx of gold as monatomic "white powder gold", though it is merely gold hydroxide. Q: What is the "pH Swing" process? A: When the pH of the gold solution is adjusted from 1 to 14, and then back down to 1, this is one single "pH Swing". It breaks down the size of gold clusters so each one contains less atoms bound together. As this happens, the color will change. The gold is in the chloride form when the water is acidic and chlorine is present (hydrochloric acid) and it's a hydroxide when the water is alkaline. The goal of this process for most people is to try and create "monatomic gold", but even if you get the atoms all the way down to just 1 single gold atom, NOTHING happens to it. The gold doesn't magically become superconductive, and it won't attach itself to the ends of your DNA if you eat it. Scientists work with single atoms of the platinum group every day in nano-science research, and its well documented. There isn't some giant conspiracy to cover up the truth about single atoms of metals. There is NOTHING special about single metal atoms! You really think every country in the world and every scientist would actually keep this a secret? Wake up to reality! Gold is dissolved in Aqua Regia, and the acid is evaporated to form crystals. Water is added to dissolve the crystals and the pH adjusted to alkaline while stirring. This removes the nitrates and gets the gold ready for dissolving in pure HCl acid so there is only gold chloride in solution. 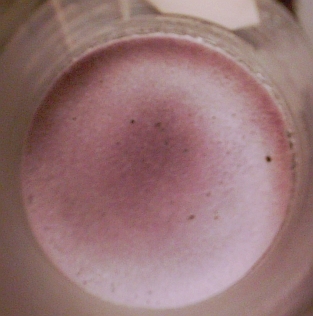 Here can be seen the dark purple gold hydroxide precipitant swirling around. The precipitant is washed to remove salt and lye. The gold is allowed to settle on the bottom each time. And here can be seen how the gold preciptant looks almost black. With more pH swings it precipitates as a fluffy white powder, but in these begining stages, it is clumped together and very heavy. This is because the gold clusters are still made up of thousands of atoms bound together. After 50 pH swings the gold has become a white powder. 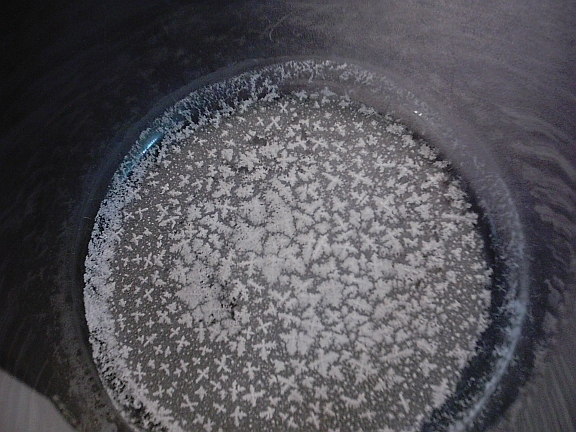 After 100 swings the gold was allowed to dry in a wide crystallization dish, and it formed these little crosses. The same peculiar crosses form when the process is done on copper. One hundreds pH swings might seem like a lot, but when you do them in sets of 10, they go fast, and you only need to do 10 sets. Q: How is the pH Swing done? A: Using the process I describe here, you will quickly and easily be able to obtain a white precipitant after only 10 pH swings. The ratios of water to gold and the use of lye solution instead of pure sodium hydroxide crystals is what makes this process work better. Follow the instructions exactly. 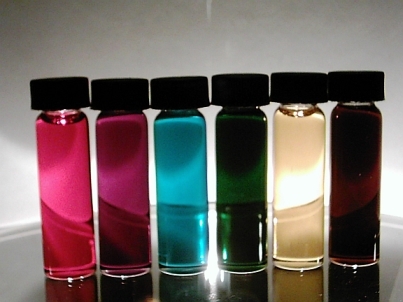 If you don't use the suggested quanities of water you will obtain many different colors instead of a white powder. After the gold metal has been dissolved into a chloride form, the acid is evaporated using low heat (150F). The crystals are not allowed to dry completely because they will most likely become scorched from the heat source, and won't dissolve in water (and then you will need to redissolve the gold in Aqua Regia). Because there will be some acid left in the beaker, quite a large volume of water needs to be added for dilution. Using 1/20th to 1/10th an ouce of gold, the crystals/acid should be dissolved in at least 700ml of water. 100 grams of sodium hydroxide is dissolved in 1 liter of water to make a lye solution. Water weighs 1 gram for every milliliter (labeled as "cc" when reffering to drug dosage. cc = cubic centimeter). This first pH swing will require a lot of lye solution to bring the pH up to alkaline. It should only be brought up to 8.5 since gold hydroxide will redissolve in strongly alkaline water, and you will be washing the precipitant. 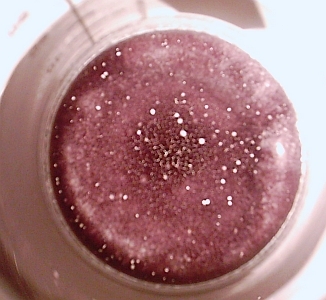 Purple gold hydroxide will precipitate to the bottom. 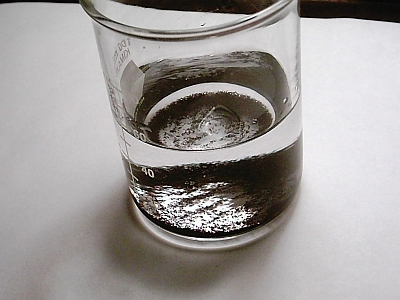 When this precipitant is settled, the top water is poured off and saved in your "wash water" beaker. Add new water to the precipitant beaker, and once the precipitant is settled pour off the water again (saving it in the wash water beaker). This cleaning process removes the sodium hydroxide and the salt which formed from the reaction of hydrochloric acid and NaOH. Once the pH is neutral, pour off most of the water, being careful not to loose your precipitant. There will be around 200ml of water remaining if you are using a 1 liter beaker. This can be transferred to a smaller beaker, then when the precipitant settles again, the excess water is easier to pour off (decant). Now a few milliliters of hydrochloric acid is stirred into the precipitant. After swirling the solution around (erlenmeyer flask is good for this), the gold hydroxide dissolves to become gold chloride again. The pH is raised up to 14 now because you won't be washing the precipitant yet. After the pH is adjusted from 1 to 14 and back to 1, this is a single pH swing. During the first few swings, it will be very easy to see when the solution is alkaline because it will turn purple and you can easily see the fluffy gold hydroxide. As you continue it will become increasingly difficult to tell what the pH is by eyesight, and pH paper should be used (Don't dip it dirrectly into the solution; use a dropper to drip a sample onto the pH paper). After 10 swings, there will be a substantial amount of salt that has been created by the reaction of sodium hydroxide and acid. It's essential to remove this salt with washes just like you did after the first pH swing. The gold clusters are now so small they will be white, and will attached themselves to bubbles, which makes them float to the surface. The water will look clear and it will seem as though your gold has dissapeared. Fear not. Dilute the solution back up to 1 liter. Then just place the solution on gentle heat and let about 100ml of water evaporate, then let it cool back to room temperature. 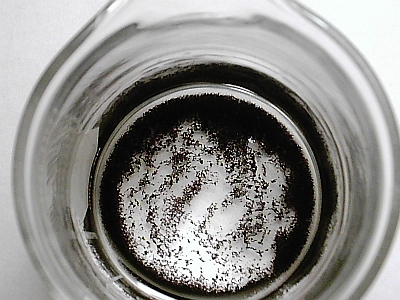 Now you will be able to see white gold hydroxide precipitant falling to the bottom. Tap the beaker to shake any precipitant floating on the surface so it will decend to the bottom. Don't bother trying to get creative using a centrefuge because that would also force the salt to the bottom of the tube and defeat the purpose of the washings. At least 100 pH swings should be performed on the gold. This may sound like a lot of work, but once you get the hang of it, you will be able to do 10 pH swings in 30 minutes. When you have your white precipitant, it will be gold hydroxide broken down so small it appears white because it's actually not reflecting any color and is clear. This is what is sold on the internet as "White Powder Gold" but its sill just useless gold hydroxide that will have no more effect on a person than a bottle of oridinary water they strongly believed was an Elixir of Life. But of course, gold hydroxide is also a serious poison because in the stomach its converted to gold chloride, which is a potent neurotoxin. People who ingest this "white powder gold" often say they feel high. Well yes indeed, poisonous neutoxins tend to have that effect. Its only a mater of time before the FDA starts going around bashing in the doors of the 'labs' (dirty garage) of the people who sell these poisons and confinscate all of their fake "Philosopher's Stone", and hall them off to jail. Pour off as much water as possible from your white precipitant, and evaporate most of the remaining water. When you want to dry the precipitant, don't use heat. Just let the remaining water evaporate at room temperature by covering the beaker with a coffee filter. To prove that your Stone is indeed the fabled Philosopher's Stone, or to test if you have done the process correctly when you made your dew salt, simply melt down 1 ounce of lead. Then prepare your Stone by grinding it to a fine powder in your mortar, and place it on a piece of wax paper and drip hot beeswax onto it, then allow the wax to cool enough so you can work it with your hands into the form of a ball. Don't wrap it up with the wax paper -- pull it off the paper and use only the beeswax ball. Remember that parrafin wax wasn't invented until the petroleum industry discovered how to obtain it from refining petroleum products. Beeswax contains an enourmous amount of chemicals and elements, some of which may assist in the transmutation. Some alchemy books say that you should put this red glass in a flask and keep it warm with the gentle heat of a Balneo Mary water bath for many weeks, until it begins to flow like oil, then its ready for use as an Elixir, 1 to 7 drops being a dose. Other manuscripts warn that such a dose would quickly kill a man, and the Stone needs to be properly diluted to almost homeopathic potencies. You dissolve a little of the red glass in a liter of white wine until it has become colored deep ruby red. Then you add just a little of this deep red wine to a fresh bottle of white wine. Keep adding until the color of the wine goes from golden to orange, and you see a film form on the surface of the wine. This is your sign that the wine is the proper strength, and one dose is a teaspoon. Q: What is done with the left over wash water? A: All the water you used to wash your gold precipitant will contain some gold hydroxide you can't see. So evaporate your wash water and you will begin to see it turn pink. The water contains a great deal of salt, and this traps the gold hydroxide and causes it to fall to the bottom. The reason you couldn't see it before was because it was floating on the surface of the water in tiny clusters. Once the solution is evaporated down to 200ml, let it cool off. 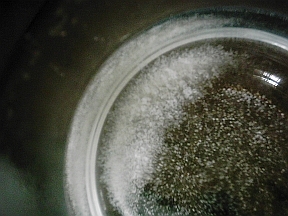 Salt crystals are forming which contain the gold hydroxide powder trapped inside. Add enough water to refill the beaker back up to 1 liter, and this will dissolve the salt. Now do the washes on the pink precipitant until there is no longer a salty taste in the water. Then you will know the salt has been removed and you can now perform the pH Swing process on this pink gold until it's white, just like you did the first time. Save the wash water again, but now since it's mostly just salt, pour it on your garden outside. Helps plants grow for some reason; the salt has nothing to do with it and should actually kill the plants. In this photo can be seen the pink gold hydroxide which appeared when the water was heated. This wash water which was clear and would have been tossed down the drain actually contains this hidden gold. Here is the precipitant washed and dried. Contains a lot of sodium which doesn't wash out. It's a very soft powder with irridecent clear flakes also. 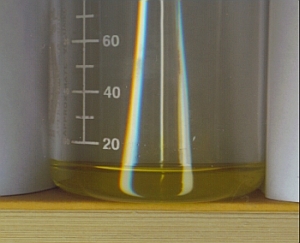 On the side of the beaker which the water was evaporated in, a rainbow effect can be seen in the right lighting. This seems to be the Oil of Gold which was in the wash water. It has long been rumored that the wash water should be saved for this very reason, then reunited with the original precipitant to give back the spirit to the gold. So in this pink powder, there is apparently the "Oil of Gold" along with some normal gold hydroxide which gives the powder it's pink tint. 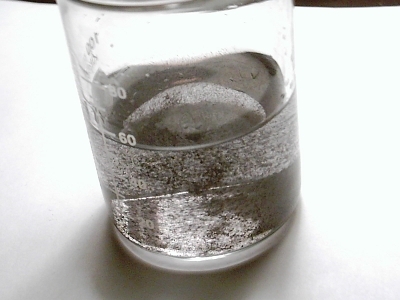 The precipitant was dissolved in a few milliters of hydrochloric acid, but some remind undissolved as can be seen in this photo. 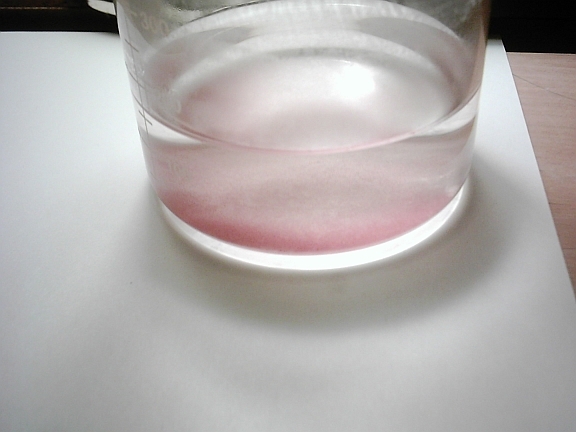 A little peroxide was added (3% solution) and the red precipitant became white but refused to fully dissolve. These two photos show the precipitant when dried. The one on the stop was taken with light comming from underneath, and the photo on the bottom shows light from above. Every color of the rainbow can be created with gold depending on how it's precipitated. If pure sodium hydroxide powder is added straight to the acid solution, then the clusters will remain large and the precipitant will slowly change through the colors after each subsequent dissolution and precipitation. While this makes beautiful colors, it's not the goal and there is no benifit to having a colored gold solution instead of a crystal clear white calx. The water clear solution is what is the best because the gold clusters are smaller.